The executive orders -- which he didn't detail -- would be the way that President-elect Trump will begin the repeal process, Pence said at a press conference after meeting with House Republicans. 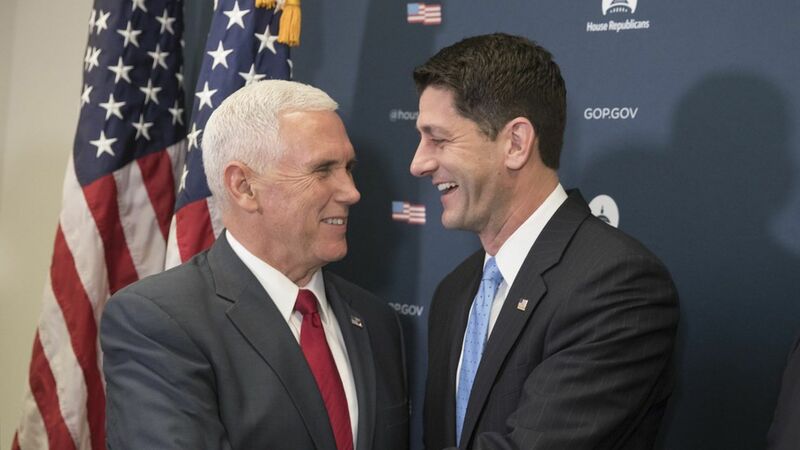 Pence said, "It will literally begin on day one. Before the end of the day we do anticipate that the president-elect will be in the Oval Office to both repeal executive orders and set into motion through executive action policies to implement promises that were made on the campaign trail." How it might work: GOP aides have been looking into ways the administration can help undo the law. One of the areas Trump could target is regulations on insurers, such as the requirement all plans cover a set of essential health benefits. While the benefits themselves are written into law, the administration defines what they are. At the GOP meeting, Pence gave them a justification for repealing the health care law immediately without a replacement: Republicans are providing Obamacare relief. And Trump will help.